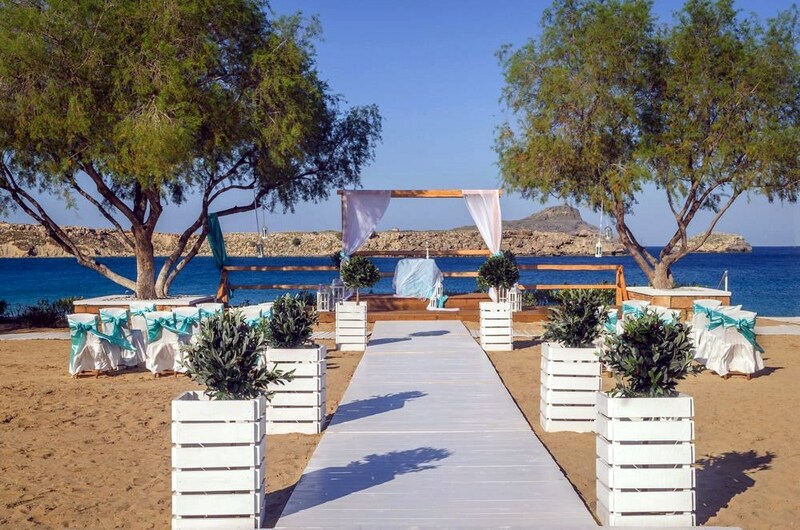 Lindos ceremony venue Lindos Bay is situated with the venue facing the main beach of Lindos, this beach venue has fabulous views of Lindos bay and the acropolis of Lindos. 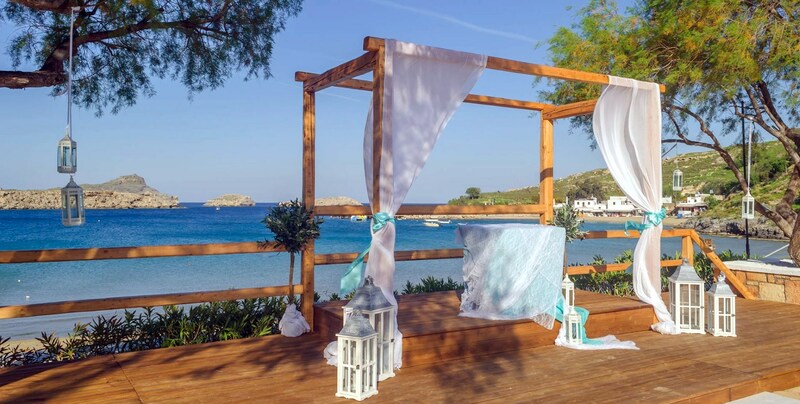 A lovely decked pagoda with the sea as the backdrop for all your photos. 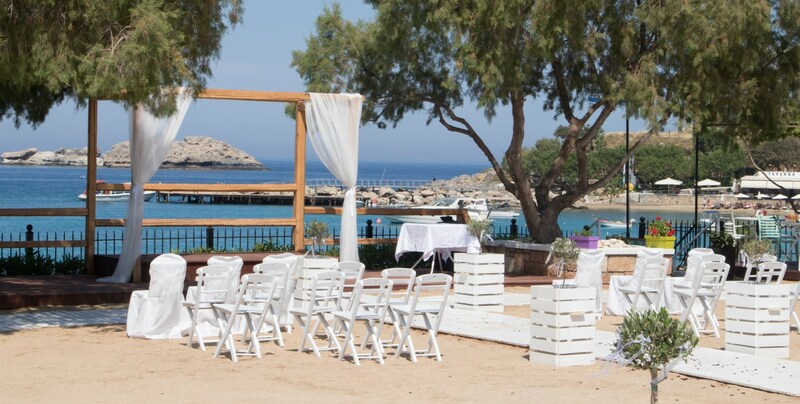 Also the venue has a bar area and a private seating area under shade for weddings where you and your guests can sit and relax drinking champagne after your ceremony. 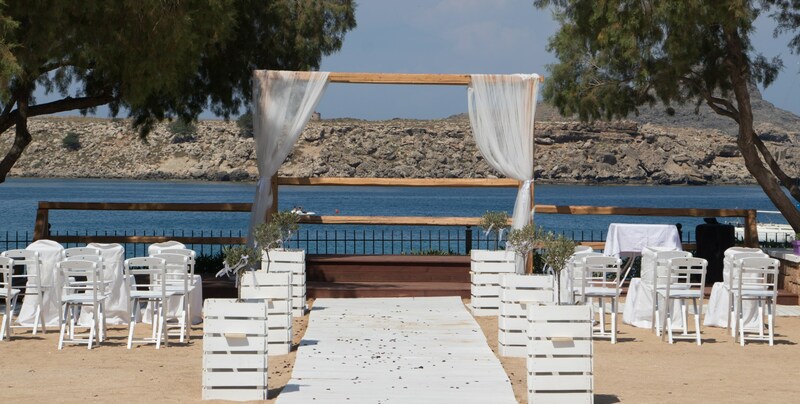 You may also have a boat cruise from the nearby main Lindos Jetty. Please Note: Coaches cannot get to this venue and would have to park and you would incur a walk down a steep hill to the venue. Taxis will also get closer but still leaving you to walk the last part of a steep hill or access from the beach. An additional hire and set up fee applies for this venue.